Our IP Transit Services provides global Internet access to international carriers, cable operators, Internet service providers and enterprises through extensive peering agreements with Tier-1 carriers and content providers among other regional networks. Get dedicated, broadband IP access through a Carrier Class IP overlay network, at speeds ranging from 2-Mbps to 10-gobs, using Gigabit Ethernet and Fast Ethernet and provide your company with ultimate IP Transit Service. C&W Networks guarantees customers 100% availability, normal network latency of 50 milliseconds or less, and 0.3% or less packet loss, hand-off to hand-off on CN IP Network. We understand how to maximize company solutions. As a premier provider of IP services, C&W networks supports the ongoing and changing needs of its customers. Full-Port gives maximum IP bandwidth according to port interface. Burst-Rate is provided over a given interface. The customer is able to burst beyond such level to instantly support added demand for bandwidth. Tiered-Rate is provided over an even larger given interface with fractional amount of capacity activated. Extra capacity can be quickly enabled with minimum additional network change. Denial of Services (DOS) Attack Mitigation supports the use of the “black-hole” community transmitted through BGP. This unique feature allows customers to mitigate DOS-based traffic before reaching their networks. Network Ingress Filtering is a feature used to protect against spoofed-address attacks that could result in security incidents or DOS attacks. Expert Network Management & Customer Support. Our management system conveniently serves as a single point of contact for all IP Transit users. A bilingual and experienced team, C&W Networks’ engineers are always on call for assistance at any time for year-round 24×7 access.  Our Network Operations Center (NOC) is designed to centrally manage the company’s entire transport and IP network. The NOC will assist in all problem-solving ranging from fault reports to technical support leaving your company at total ease.